SSD on the cheap not much more to say than that. Could be a bit more consistent as far as boot times go. 2nd SSD used is for Ubuntu. Memory Controller Swap aside. This is a good SSD. I think everybody needs to join the SSD Master Race the difference is night and day. To the point that I end up putting ssd's in low power builds and older builds to make the computer feel snappier. Learned after buying it that Kingston pulled a bait and switch and made them slower. As a first time SSD owner I didnt notice it but I will be getting a better one soon. Pros: Light weight, fast, good price for performance, again KINGSTON. Cons: I can't find anything bad at this SSD. Despite what people say about the bait and switch with the whole firmware issue, It performs better than a HDD and that's all I need. 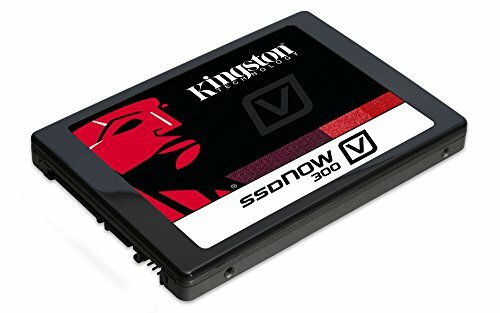 Seen reviews that say this SSD can be a Turd. But I have had no performance issues with it so far. Do wish it was a little larger, but that was an error on my part, can't blame the drive for that. If it becomes sluggish in the Future I'll come back and knock off a star or two from my rating to reflect that..
Not as fast an SSD should be. My Seagate Barracuda is actually faster. Only plus is that it's cheap. Spend a bit more money and get a different SSD. Now, don't anyone go fooling you about buying a cheaper SSD. Cuz they don't know what they are talking about. No need to go buying a 70 dollar Samsung 840 Evo or some crap like that for the same capacity SSD when you could just buy a great product like this. Before i had my OS installed on a 7200RPM 3.5" 140GB HDD i had, boot up time was maybe around a min from a cold start up. With this, i press the button and within 1-13 seconds its good to go and run games and internet and all that. 10/10!